“In light of the speculation and allegations surrounding the killing of Joseph O’Connor the IRA wishes to state that it was not involved in his death. The IRA leadership extends its condolences to the O’Connor family. Malicious accusations suggesting IRA involvement are designed to heighten tension and promote the agenda of those opposed to current IRA strategy. The IRA has said it was not involved in the murder of a dissident republican in west Belfast last Friday. The dissident republican Real IRA organisation has blamed the IRA for shooting Joseph O’Connor, who it said was a member of its organisation. The 26-year-old father of three was shot dead by two men wearing hoods, as he sat in a car at Whitecliff Parade on Friday afternoon. RUC Chief Constable Sir Ronnie Flanagan has said he has not ruled out IRA involvement in the murder, which he said was a “definite line of inquiry”. But he has yet to reach a firm conclusion. Another theory about the murder being investigated by the police is that Mr O’Connor was shot as a result of a dispute between rival dissident groups. Meanwhile, Sinn Fein’s Martin McGuinness has said the IRA’s statement that it was not involved in the murder of dissident republican Joseph O’Connor was an important development. On Wednesday Mr McGuinness also said he wanted everyone involved in the peace process, including the IRA, to keep to their commitments. Denying involvement, the IRA leadership offered condolences to the O’Connor family. But these were rejected by Mr O’Connor’ mother Margaret, who blames the IRA for his murder. Reacting to the IRA’s denial of involvement she said: “These people are liars. 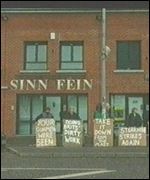 Members of the O’Connor family held a protest outside Sinn Fein’s Sevastopol Street offices in Belfast because of their belief in IRA involvement on Tuesday afternoon. Blaming the IRA for the killing, the Real IRA threatened retaliation against the mainstream republican group. However, the IRA said its leadership “would not be deflected from its current strategy”. The Real IRA has opposed the current peace process and the ceasefire by the IRA. The dissident organisation has been behind a number of recent attacks on police and army bases. It also carried out the Omagh bombing of August 1998, killing 29 people and injuring more than 200 others, shortly after the Good Friday Agreement peace accord was signed. Mr O’Connor is to be buried on Wednesday, after what is expected to be a large republican funeral to Corpus Christi Church in Ballymurphy. Meanwhile, speculation that the IRA was involved has caused political controversy. The Democratic Unionist Party’s Ian Paisley Junior has demanded that First Minister and Ulster Unionist leader David Trimble should take action against Sinn Fein – which is linked to the IRA – in the assembly. But Mr Trimble said on Monday that it was too early to jump to conclusions about who was responsible for the killing. Sinn Fein assembly member Gerry Kelly said he did not believe the IRA murdered Mr O’Connor. Sinn Fein President Gerry Adams offered to meet Mr O’Connor’s family, an offer which was rejected. If it emerges that the IRA was responsible, that will put further pressure on the Ulster Unionists to withdraw from the Stormont power-sharing executive. Hardline Ulster Unionists are already demanding that the party should leave the executive because they feel there has not been enough movement on the disarmament issue. The IRA made an offer to open some of its dumps to international inspectors as part of an overall package of implementing all parts of the Good Friday Agreement and in the context of devolution politics working. Nationalists and republicans are particularly dissatisfied about what they see as government attempts to water down the recommendations on police reform made by the independent Patten commission on the future of policing, in the Police (NI) Bill which is currently passing through parliament. The Ulster Unionist Party’s 860-member ruling council is meeting on 28 October in a debate which could spell the end of its Stormont power-sharing policy. It is thought the UUP delegates will be asked to pull the party’s ministers out of the executive in the absence of IRA decommissioning.